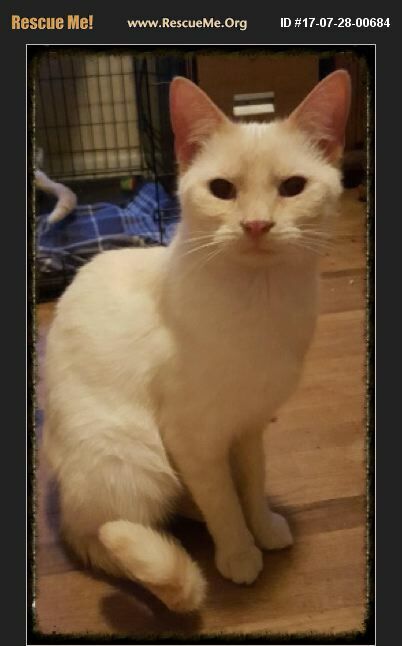 Meet out gorgeous Flame point, Blossom. She is a little shy when you meet her, but when she knows you want to love her, she will relax quickly.She is nervous around strangers as most cats are. Blossom is out and seeks attention from her foster Mom. She very gentle, low key. Her best home would be with older kids, or adults. She loves her brother Bailey, they look like identical twins. She enjoys kitty towers, sunning herself, playing with glitter balls and mice. We offer a 2 week trial adoption. We also have 6 to 8 kitties on display at Pet Smart at 5401 South blvd, Charlotte, NC.